If you want to get the best office machine for your business then you need to get a Xerox brand copier.They are the ones that you want on your team when it comes to the most common jobs that you do every day and the most difficult jobs that your business needs done correctly. 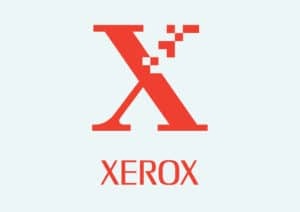 At Denver Copier we are proud to sell Xerox because we know that they deliver the best products for your business needs. Our friends at Xerox have proven time and again that they are the best in the office machine industry. We like to work with people that share our values, and the team at Xerox knows what it takes to deliver amazing products and outstanding service. We know that you can trust what you get from Xerox and that’s why we love selling their products. Xerox has decades of experience enhancing the office workplace. Their teams have made extraordinary strides that have defined what it means to complete jobs in the comfort of your own office. At Denver Copier we believe in working with our friends at Xerox. They have proven that their experience has given them more than just a name to trust; it has given them the wisdom and foresight to create the best office machines on the market. Reach out to our team at Denver Copier to learn more about how to get a great, affordable Xerox brand office machine for your business today.